Officials in Canada and the United States appear to have resumed the acrimonious softwood trade dispute just where they left off in 2006 — with both sides blaming each other for failing to kick start negotiations. A British Columbia government official said Tuesday the Americans have ignored Canada's offers to renew or renegotiate the trade agreement. "If Canada continues to stay away from the negotiating table, the United States industry will eventually have no choice but to use our rights under U.S. trade laws to offset the unfair advantages provided to Canadian industry," said Charlie Thomas, a Mississippi lumber producer, in a coalition statement. Susan Yurkovich of the B.C. 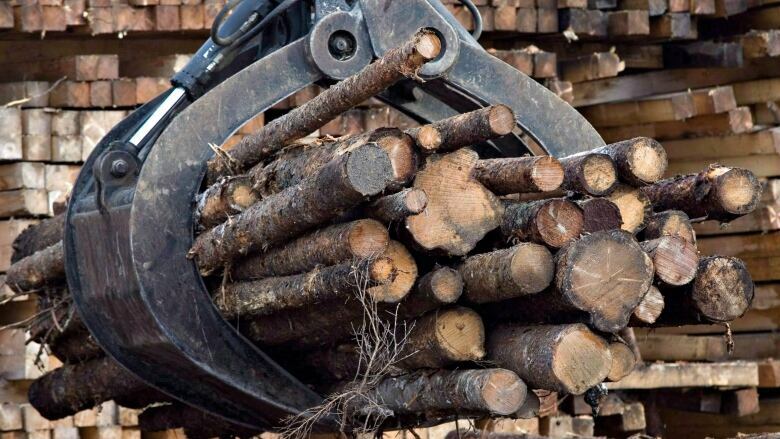 Lumber Trade Council said a renewed or renegotiated softwood-lumber agreement benefits both countries' lumber industries. "We think it's incumbent on both governments to engage in discussions as soon as possible," she said. "We need to find a way forward for certainty on both sides of the border." She said her first topic of discussion with Canada's prime minister after next week's federal election will focus on the importance of a renewed lumber deal. B.C. is Canada's largest producer of softwood lumber, accounting for 55 per cent of the nation's lumber exports to the U.S. The province's lumber exports to Asia, particularly China, have increased in recent years, but the U.S. remains B.C. 's top lumber export market.